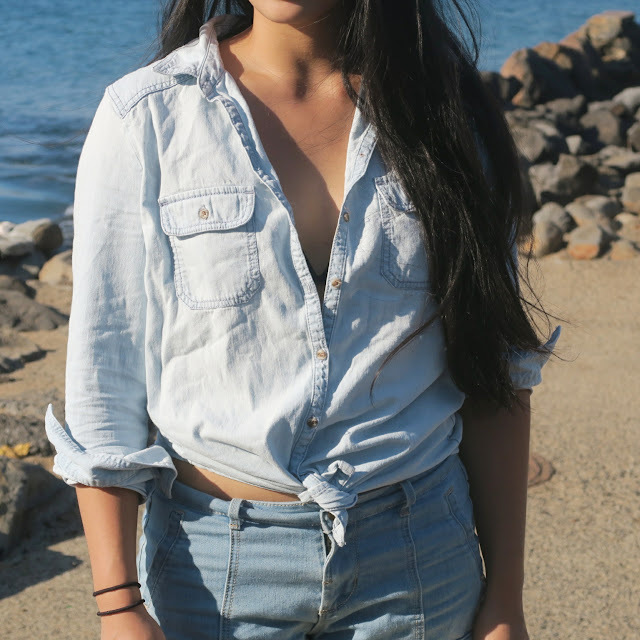 I love pairing different colors of denim together to create the denim on denim look. These light wash mid-waist shorts from F21 have been a staple in my wardrobe for the past few summers and are as comfy as PJ's. The chambray button up is a new piece from Nordstrom from this past #NSale. 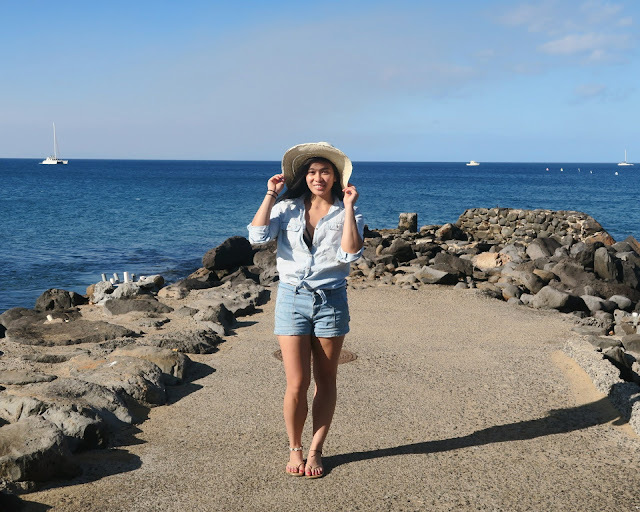 I've also recently been into hats (minus the times it's too windy and it wants to fly off!) 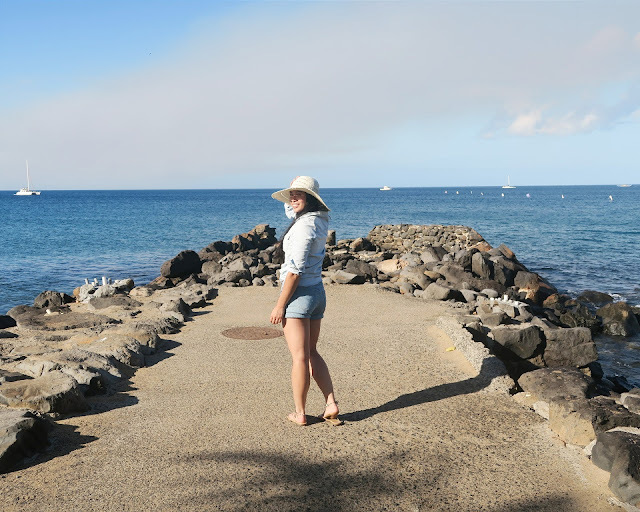 and this light colored stroll hat from Billabong has been a favorite to wear while I was in Hawaii when the sun as a bit too much to handle. 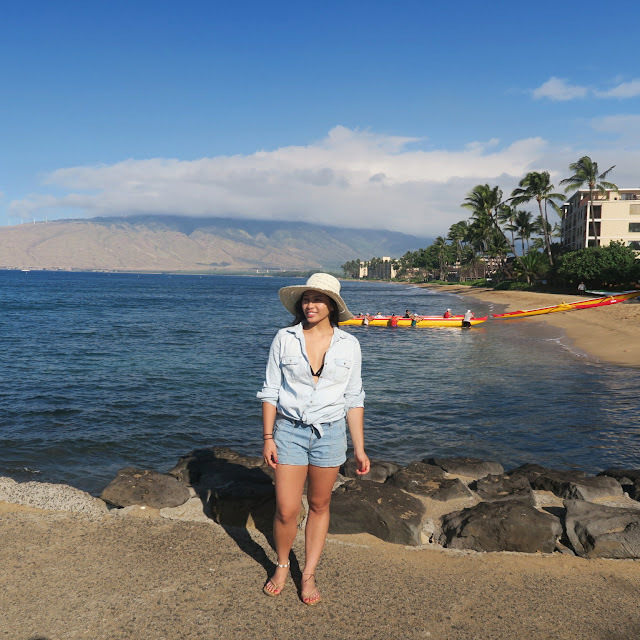 One of my favorite cut out swim top, also from Forever 21, served as the perfect piece under to layer, especially if I wanted to go swimming right away. 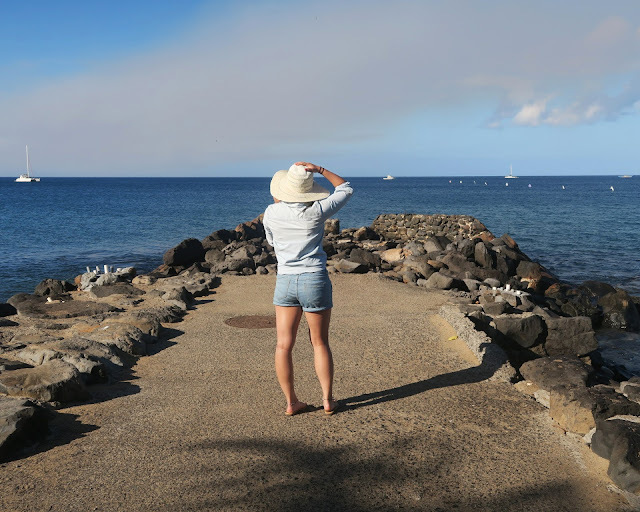 The islands of Hawaii are really breathtaking and it is so warm and comfortable, especially with the beach just walking distance from where we were. I hope you guys enjoyed this post! 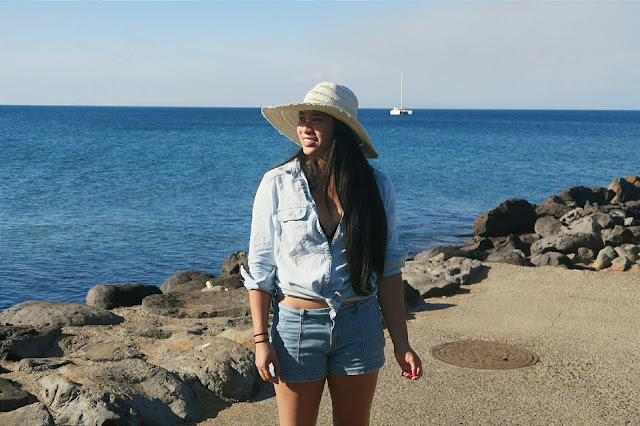 I'll be sharing a few more travel outfits along with some food diaries in future posts! 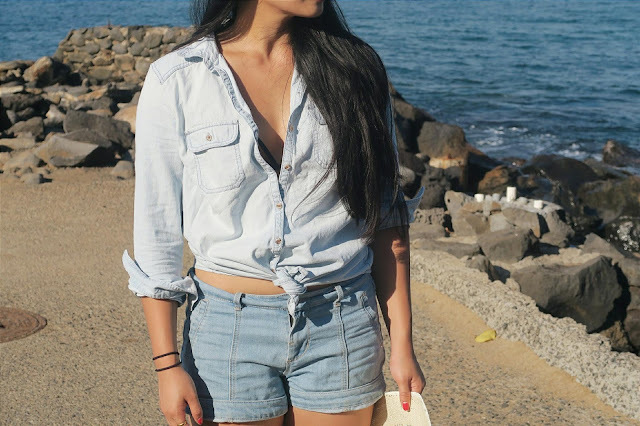 Readers, do you like denim on denim looks? What are your favorite denim pieces?